Shrirang Mohan Gombi from Bangalore, B.E. - B.Tech Graduate. CFD HEAT TRANSFER MATLAB . ANSYS FLUENT 15.0 COMSOL MULTIPHYSICS PROE THERMAL AND FLUID SC..
are one of expert skill area's of Shrirang Mohan Gombi . 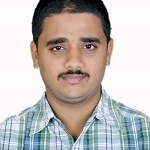 Shrirang Mohan Gombi is working in Engineering Consulting industry.